SO CALLED SWORD OF CHARLEMAGNE. Early Thirteenth Century. Lost wax casting bronze grip, pommel and cross guard. Steel blade with large central fuller. 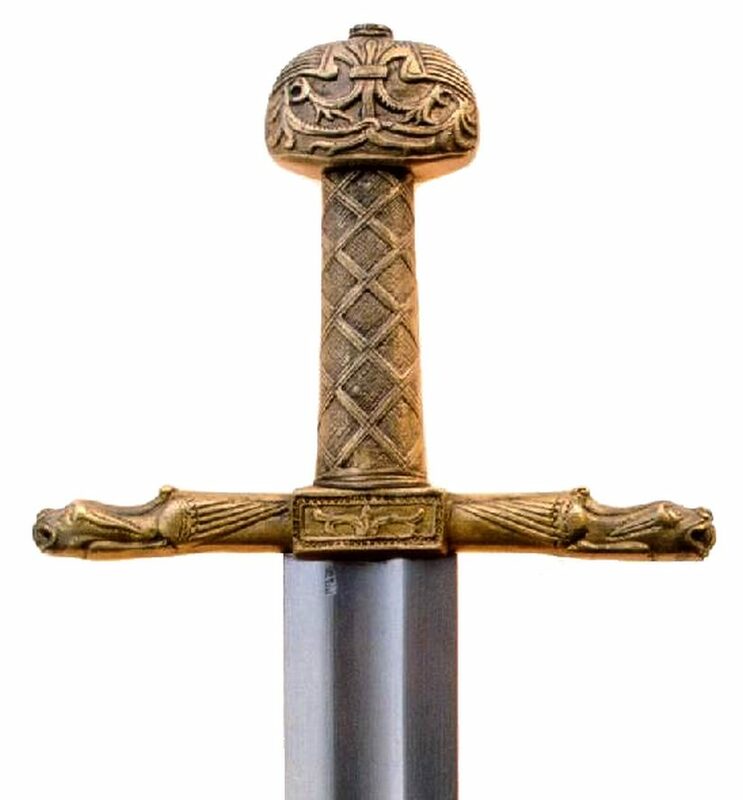 For centuries the coronation sword of the Kings of France. Length overall 99 cm, weight 1750 gr.